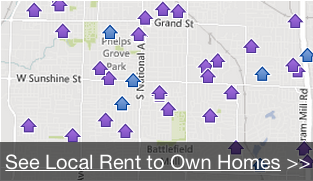 Why Rent To Own A Colorado Springs Home? There are a lot of benefits of a rent to own agreement on your next Colorado Springs home! In the Portland area, lots of smart people are using rent to own agreements as a way to get the home of their dreams without having to qualify for a bank loan right away. Profit from home appreciation right away. Often, homes in Colorado Springs are worth more on the day of the purchase than the price that you’re paying! This can be huge money. "They made me a fair offer that helped out a lot! I would recommend them to a friend..."
Howard and Betsy are awesome to work with! They didn’t pressure me or persuade me at all – just gave me information and let me decide how I wanted to proceed. They made me a fair offer that helped out a lot! I would recommend them to a friend, or to anyone who had a house they needed to sell.